Commercial photography provides me with great opportunities to photograph some wonderful subjects and it’s not everyday that you get to photograph the big guy himself. That’s right – I’m talking about Santa Claus! 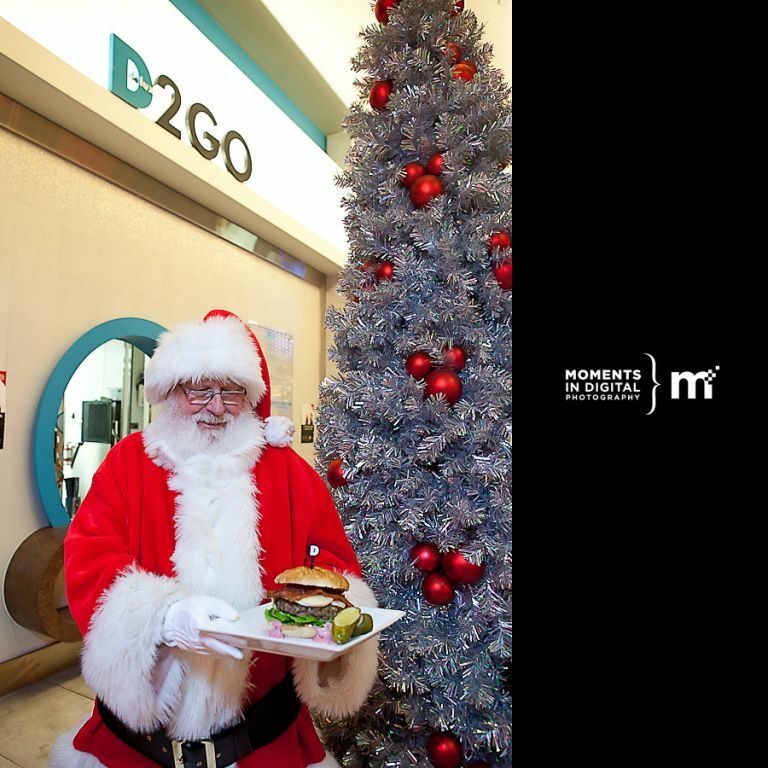 Santa is the Delux Burger Celebrity Chef for the month of December. 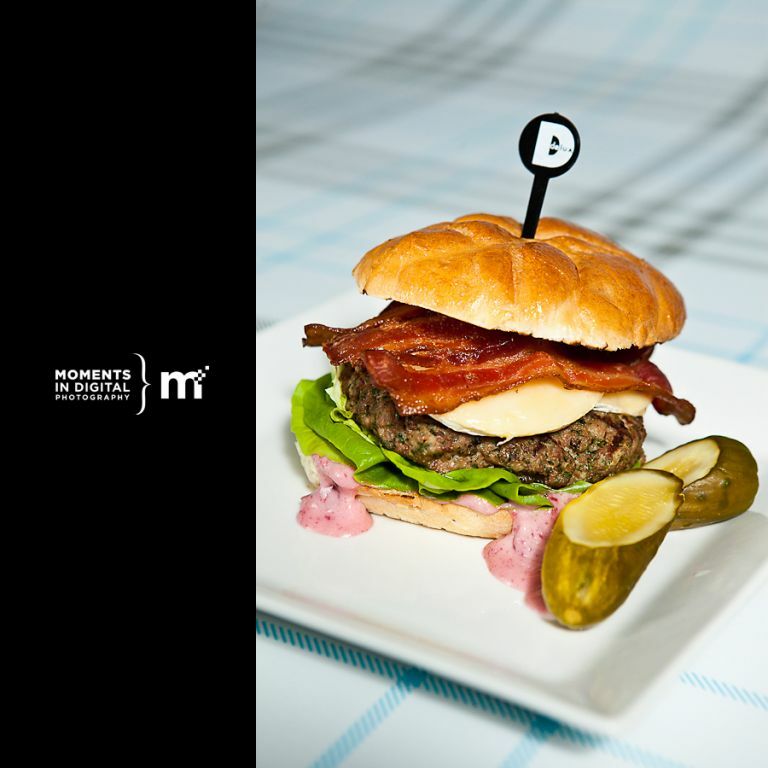 Stop by either location of Delux Burger to try out his ‘Naughty or Nice’ burger featuring a 6 oz turkey patty, creamy Camembert cheese, butter lettuce, double smoked bacon, and cranberry & sage mayo on a fresh kaiser bun. Let’s face it. While there is nothing wrong with milk and cookies, even Santa needs to have some protein in his diet once and awhile. 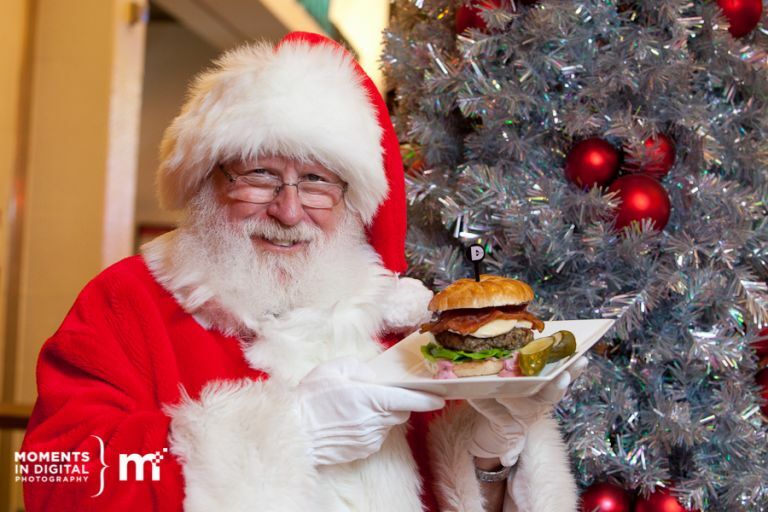 Here are a few photographs from my session with the one and only Santa Claus as he swung by the take-out window at Delux Burger in West Edmonton Mall to grab a quick bite before heading back up to the North Pole to finish preparing for Christmas! Can’t get away from the bacon! Good man, Nick!